Cara Baldari is the Vice President of Family Economics, Housing and Homelessness at First Focus. In this role, she leads the U.S. Child Poverty Action Group, of which First Focus is a founding member. 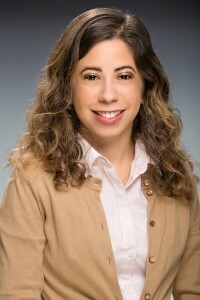 Her work centers on building the political will for a national strategy to reduce child poverty in the United States, including policies that increase cash assistance and other forms of income support to low-income households with children. In 2016, she helped to secure federal appropriations funding for a landmark consensus study from the National Academies of Sciences, Engineering and Medicine study, A Roadmap to Reducing Child Poverty, which was released in February 2019. In addition, she advocates for the reform of federal homelessness assistance and rental assistance programs to better address the unique developmental needs of children. This includes policies to streamline the federal definition of homelessness, better coordinate homeless assistance services with education, early childhood, and child welfare systems, and support households with children who are facing eviction. During her seven years at First Focus, she has worked on a cross-sector portfolio of issues including child welfare, childhood asthma, nutrition, and children’s health policy. In 2012 she co-authored America’s Report Card 2012: Children in the U.S., which was released with Save the Children and provides a holistic picture of child well-being in the United States. Before coming to First Focus, she provided direct legal representation for low-income clients in landlord tenant disputes in Pittsburgh, PA. Through this work, she witnessed firsthand the policy changes that are needed to prevent homelessness and better support low-income families. Cara received a Juris Doctor from the University of Pittsburgh School of Law and a Bachelor of Arts in History and Political Science from the University of Pittsburgh.